Friday night saw the Premier A Braves, the first of our 3 play-off teams, start their finals campaign. After a very even start with both teams probing and taking their time to settle, it was Adrian Nash and the Braves who capitalised from a change in tempo at the 7.16 mark of the first period, off some clever passing starting below net from Matt ‘Beans’ Stringer and Travis Dangstorp. This set the tone for the remainder of the period seeing sustained full-ice pressure by a heavy forechecking Braves squad and leading to a second goal just before the buzzer by Dylan Black from ‘Beans’ who recorded his second assist on the night. The second saw the Jets respond, as expected, and, with it, increased physicality that saw them spend more time in the penalty box than they’d have liked. Unfortunately the Braves did not capitalise on these opportunities until just before the end of the 2nd period with Dalvean scoring from the doorstep in the slot from an Andrew Belic feed. 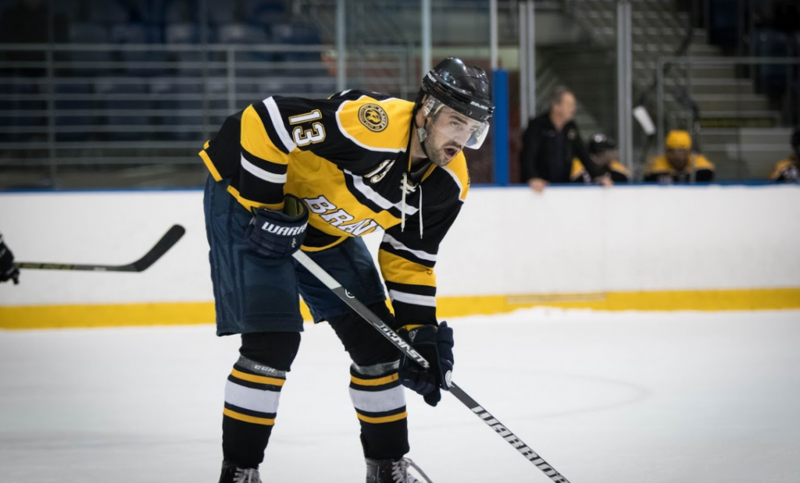 The excitement and energy from a 3-0 lead was short-lived, however, as the Jets, through Sam Hodic, pegged one back with 45 seconds left in the second. The 3rd stanza started tensely with the Jets upping the tempo again and pulling a second goal back minutes into the period through their Captain Hobbins (Croft, Love) and tying the game 5 minutes later through a seriously sweet top-shelf laser from Jukka Kanto (Parolin). The final 10 minutes saw a very tense bench for the reigning champions as the clock ticked towards the end of regulation and overtime. Coming out of the blocks hard, in spite of starting OT a player down, the Braves had the early running however a few shifts of sustained pressure saw Jets # 92 Madden (unassisted) alone and pick up a turned over puck and put it past Shane Murphy (25 saves/ .863% ) to end the contest and send the Jets through to the next round. While a sudden and disappointing end to the season there were a huge number of positives including turning around a premiership hangover and unearthing some scoring power after the loss of our 3 top scorers from the previous season. As always, we look to next pre-season hungrily and with excitement.